Did I ever say, “I love my job?” Well… GuitarGear.org isn’t exactly a job, but even it were, I’d still love it because I get to sniff around the Internet for different kinds of gear. 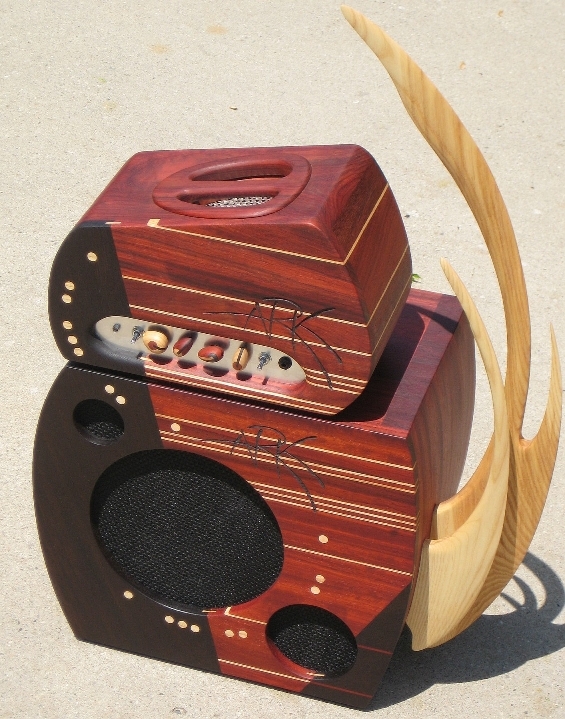 Recently, through The Gear Page forums, I ran across this great amp company called Ark Amps. I had heard the name in passing but didn’t know much about them. Still don’t, but they make some gorgeous amps! 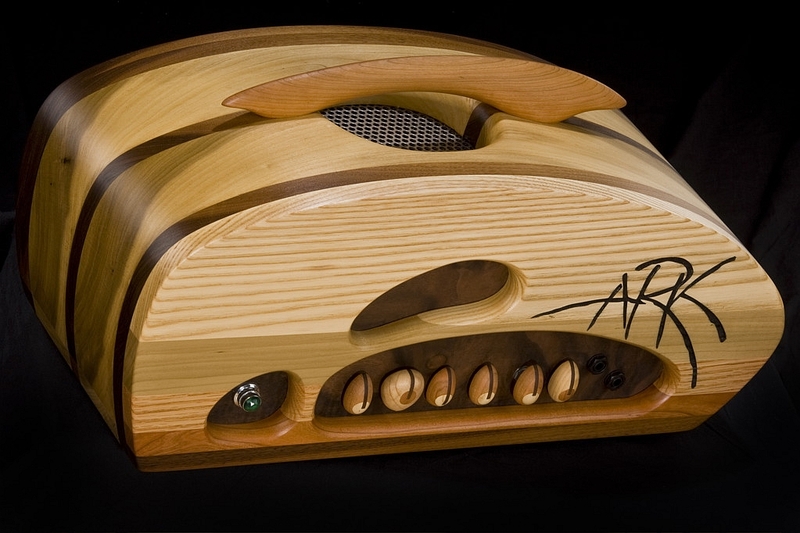 The designs are really out of this world with incredible woodwork! And from what I can gather from the audio clips, these are nice-sounding amps as well. To give you an idea of just how awesome these designs are check out these pictures! Talk about combining art with function! I’ve never seen amp cabinet designs like this – ever! 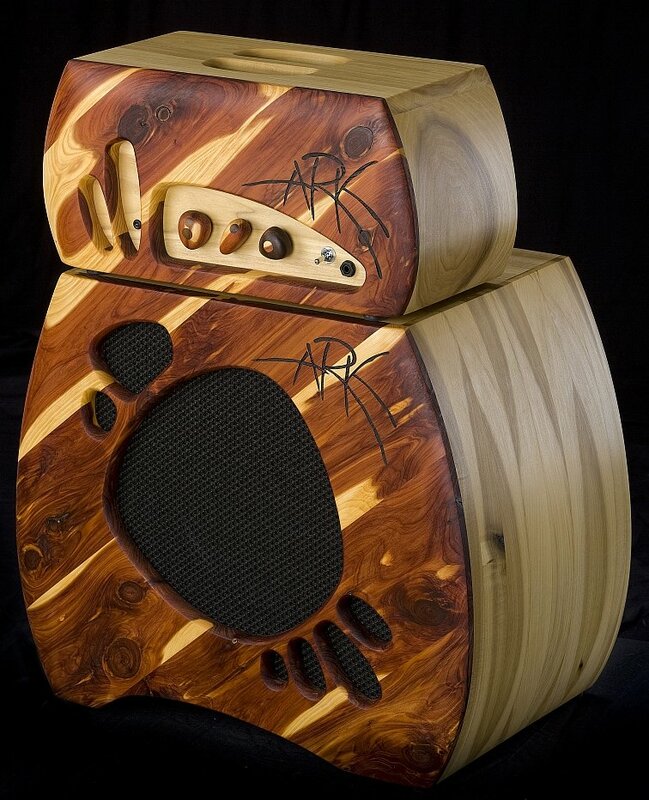 Check ’em out for yourself at Ark Amps! Oh my gosh, those amps are SWEET looking!!! I’d love to hear how they sound, I’m sure I can find a sound clip somewhere on the internet if I dig around. If you go to the Ark Amps site you’ll be able to listen to some clips. Very nice sounding as well. Hell, you could put one of these in your living room as a decoration, then plug in when you want to play. Very cool! haha true, I think I might.